Microencapsulation technology is an alternative to stabilize stress factors and protect food ingredients or additives, which include environmentally sensitive bioactive principles in protective matrices to increase their functionality and life span. 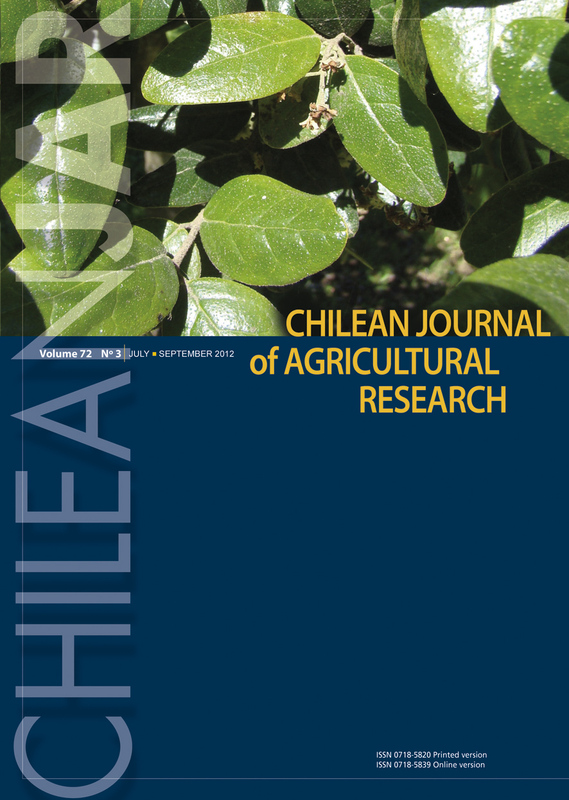 The objective of this research was to study conditions to obtain microcapsules with antioxidant capacity from a maqui ( Aristotelia chilensis [Molina] Stuntz, Elaeocarpaceae) leaf extract by emulsification and subsequent retention after microencapsulation. Microcapsules were produced by water-in-oil emulsion (W/O) using a phase of the aqueous maqui leaf extract and gum arabic, and a liquid vaseline phase. Maqui leaf extract antioxidant capacity was 99.66% compared with the aqueous phase of the emulsion at 94.38 and 93.06% for 5% and 15% gum arabic, respectively. The mean yield of maqui leaf extract microencapsulation with 5% gum arabic varied between 38 and 48%, whereas with 15% gum arabic it was 39%. Once the antioxidant microcapsules were formed, mean extract antioxidant capacity ranged between 30 and 35%. Both yields responded similarly to changes in gum arabic concentrations (5% and 15%) in the aqueous phase of the emulsion; 5% concentration produced a microcapsule size from 1.0 to 10 μm. Maqui leaf extracts with high phenolic compound levels, which can be stabilized and protected by the microencapsulation process, produce new natural preservative systems as compared with their synthetic counterparts.